...aaaand, that's basically the story of my life. But today is the story of my craft room--so let's narrow down the "lot of stuff" to that room, oki doke? Merci. In my first "serious" apartment, I was blessed with a super awkward house layout that led to me getting what was supposed to be (and sized to be!) the living room as my craft room/office space. It was a very, very beige room with almost no light or outlets, but it was my baby. Ah, memories. You'd be amazed how many power cables were daisy-chained in there to make that work. And how many naps were taken on the various work surfaces... Sigh. As you can see, I crammed a whole lot into one room. There is so much stuff in there, and it's not even remotely organized. But. 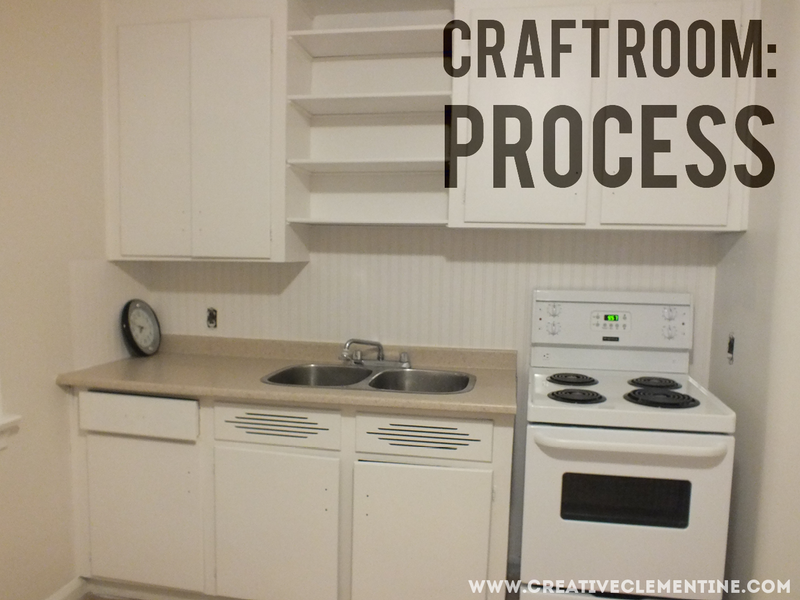 Having that space made me greedy... How could I ever go without a craft room ever again?! Short answer: I couldn't. Never. Ever. Before discovering a few things about my house that convinced me not to rent out the suite (some of which were legal, not just greedy), a few oddities were dealt with and the kitchen was prettied up in a hurry. New floors, new appliances, and fresh paint on everything. I have never meant this so literally in my life. 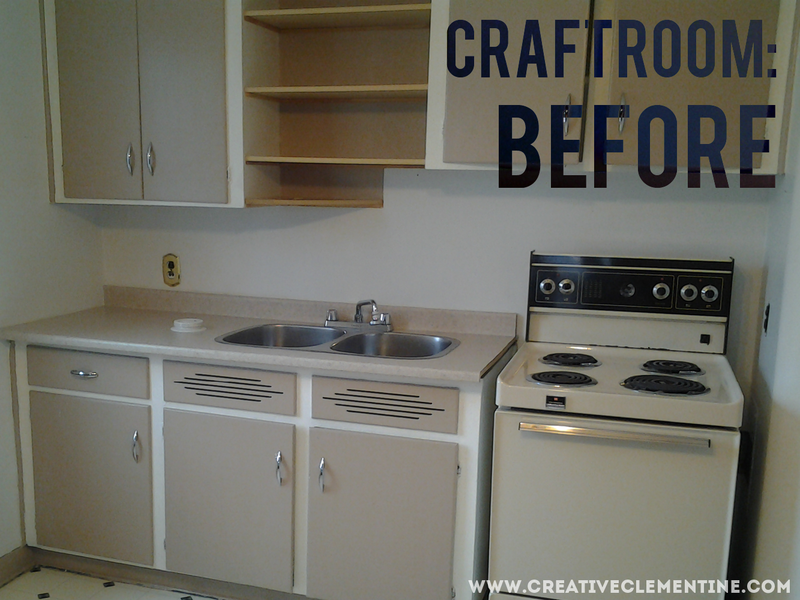 The only things in this kitchen not painted/recovered were the sink and countertops. Everything else was sprayed, brushed, rolled. or papered. My favourite detail is the faux beaded-board backsplash, which is beaded-board wallpaper with a coat of paint over it. In the end, once it was decided I wouldn't be renting to anyone, I had a weird moment where I both winced at all the time/money/wistful feelings of unrequited love I'd just invested in the space, and danced for joy at the fact that I got to keep it all to myself. It was a disorganized (but bordering on empty) mess for a long time while I decided what to do with it, and what kind of workspace I even wanted. 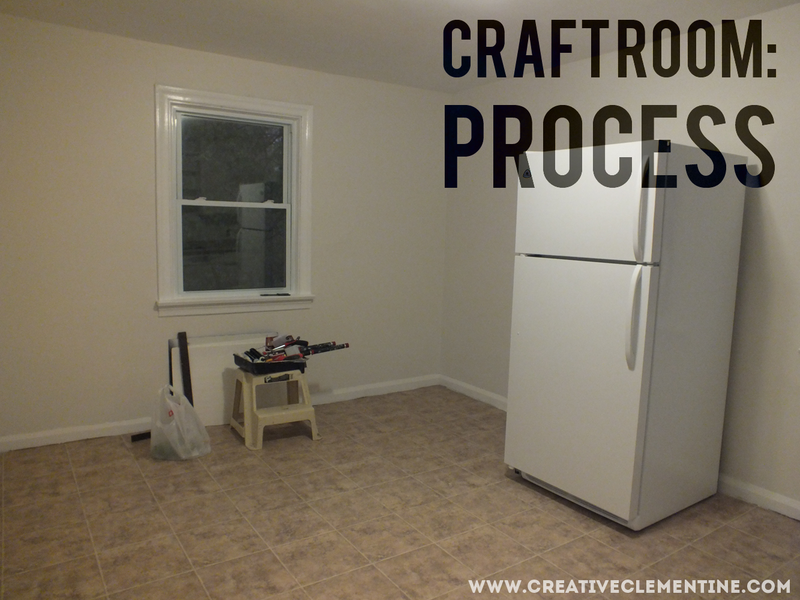 I decided I wanted room to grow, as well as to step back and put the arts back into arts-and-crafts. It has been years since I've taken myself seriously artistically, and I wanted to include the potential for that in this room. After a few pretty decent sales on storage furniture, I went to town. I purged. I tidied. I used wall anchors for stuff. It was a good time... until I needed one last thing/got sick for four weeks/summer happened and I just completely stopped mid-process. 95% of the way there, and just itchin' to show you where I go to play. So. There's no big reveal. Not quite yet. Call me a tease if you want to. I won't blame you. no after? lol! 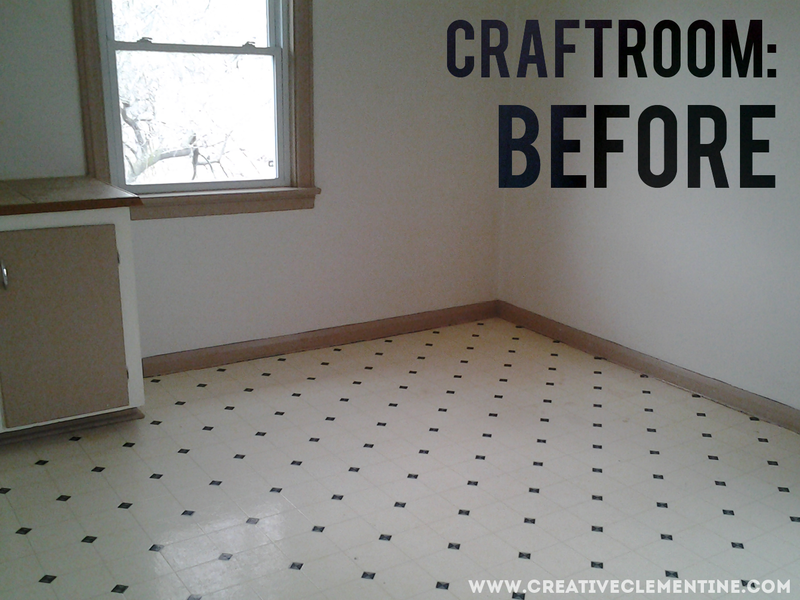 it's so great that you are redoing a space and I know my studio is always a work in progress. The after is on its way, I promise! Hopefully this week.